A special t-shirt to match Kevin Durant's "Lockout Pack" shoes. Of all the Nike Zoom KD IV colorways, Kevin Durant cites the "Weatherman" pair as his stand-alone favorite. Inspired by his would-be career path as a meteorologist, the shoe is the centerpiece of the upcoming Nike Basketball "Lockout Pack," which also includes a Hyperdunk 2011 Supreme for Blake Griffin and Hyperfuse 2011 for Andre Iguodala. 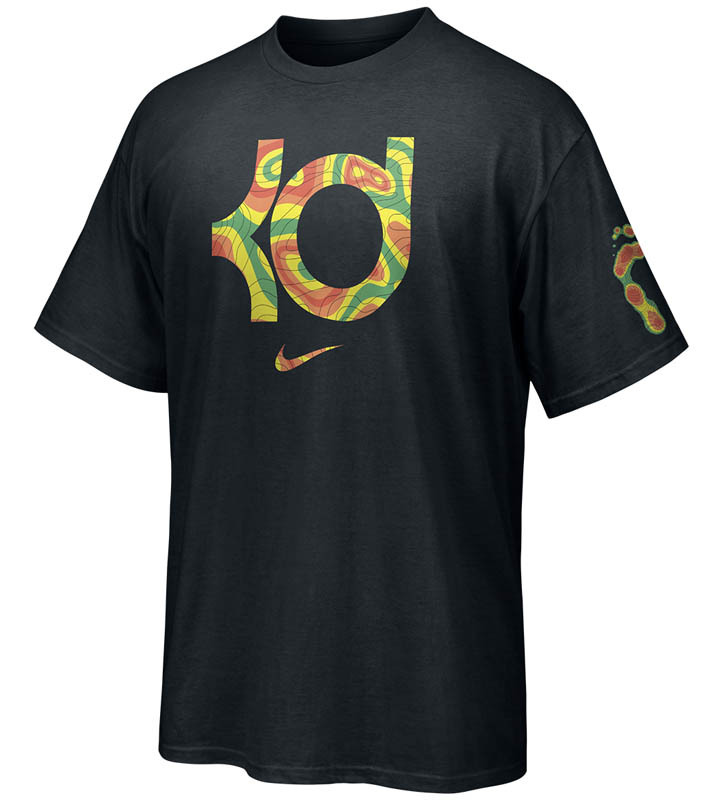 For those with plans on picking up a pair of KD's new kicks, a matching t-shirt will be hitting retail as well. The black-based tee features the official Durant and Nike Swoosh logos on the front, each filled with the weather map inspired graphics also seen on the upper of the shoe. On the left sleeve is the thermo-mapping scan of KD's footprint taken from the outsole. 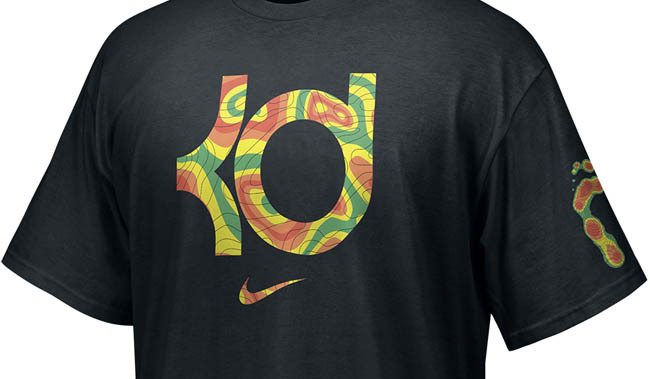 Look for this shirt to release alongside the "Weatherman" Nike Zoom KD IV at House of Hoops locations on December 10th.